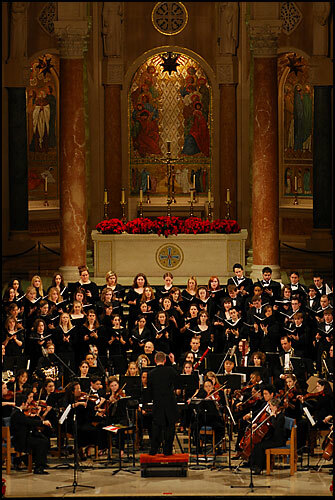 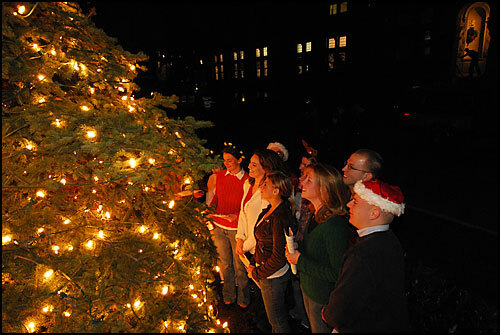 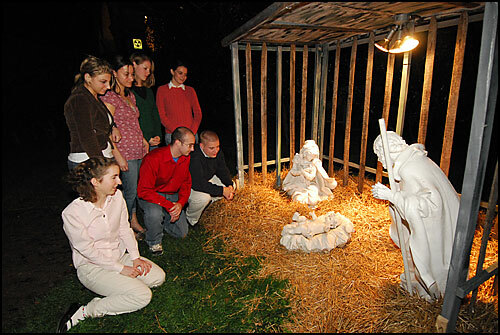 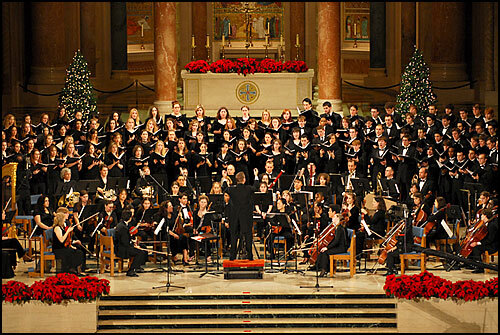 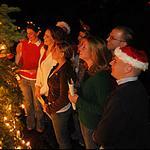 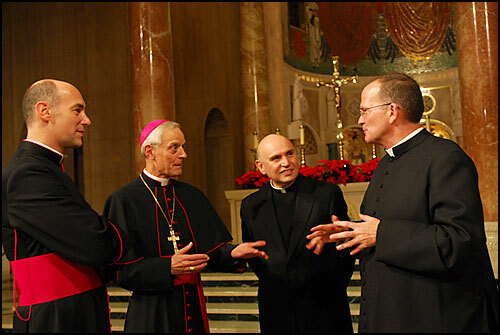 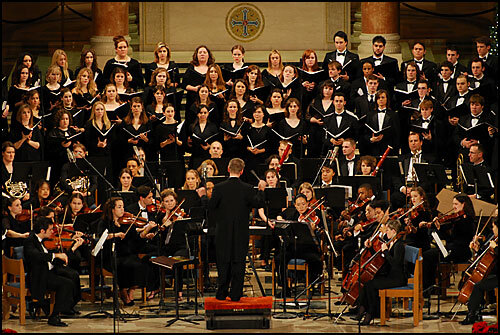 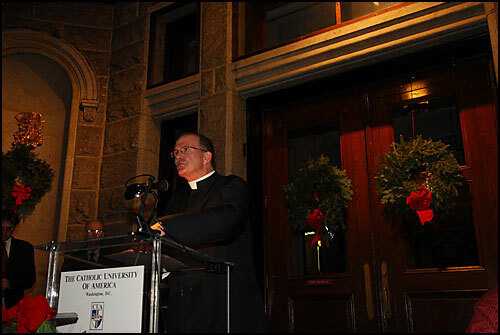 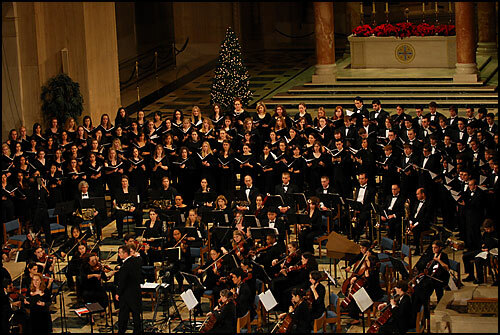 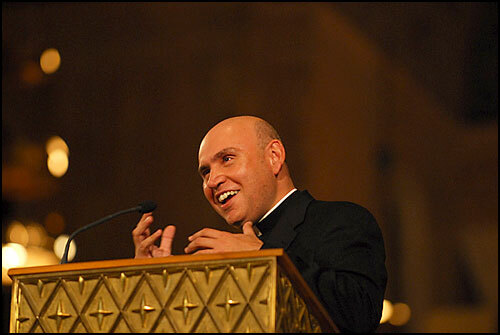 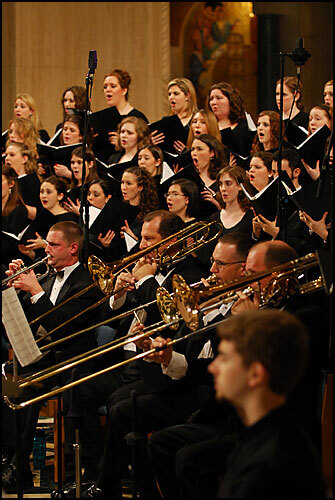 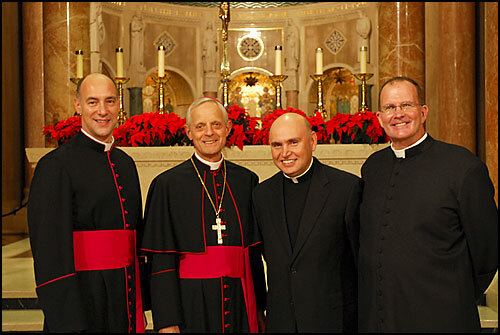 The Catholic University community ushered in the 2006 Christmas season on Dec. 1 with the annual Christmas tree lighting ceremony in front of McMahon Hall and the 18th Annual Christmas Concert for Charity at the Basilica of the National Shrine of the Immaculate Conception. 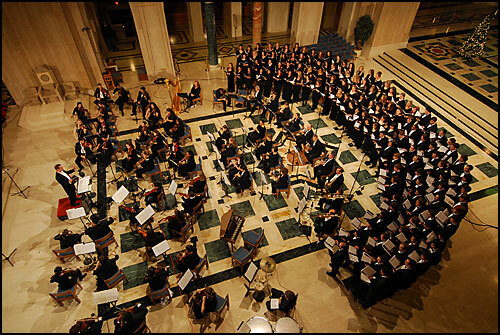 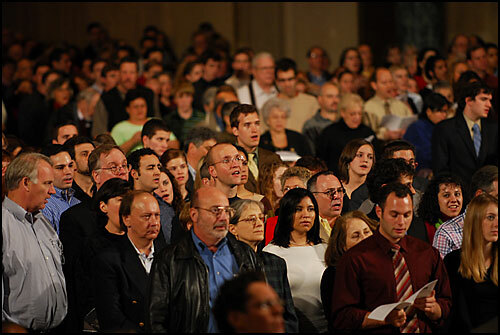 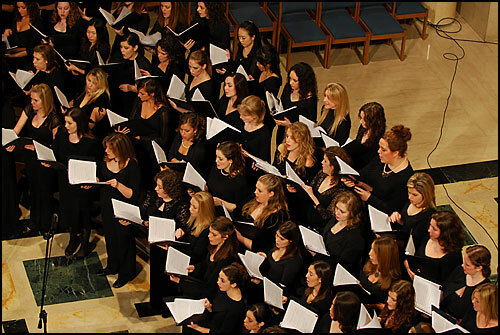 A standing-room only crowd gathered in the Basilica for the concert, presented by the CUA Chorus and Symphony Orchestra and the Choir of the Basilica. 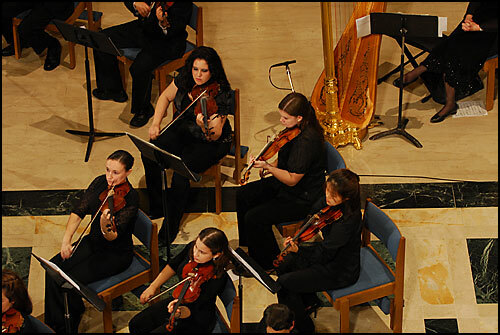 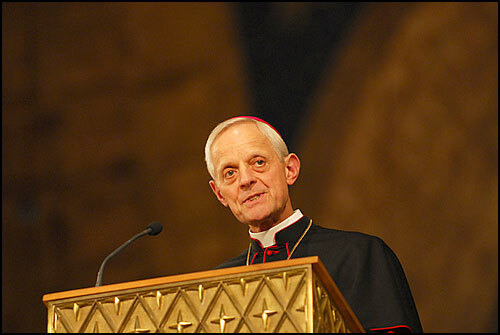 The event raised $13,000 for the Spanish Catholic Center of Catholic Community Services.